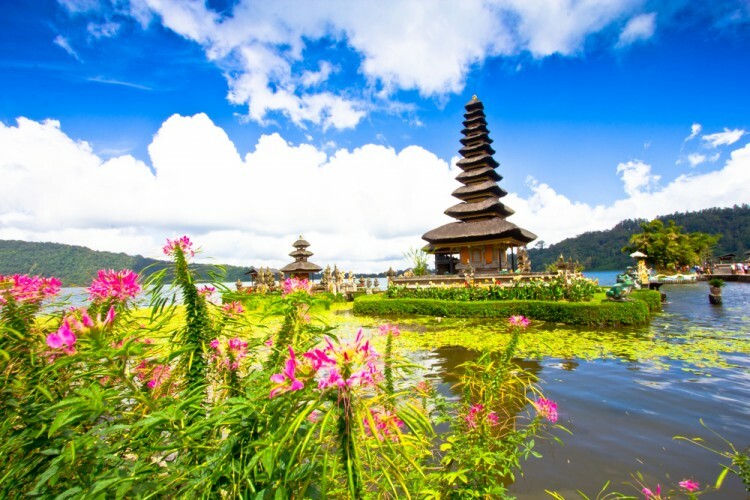 Choosing the right destination for your vacation is the crucial part of having a nice time and this list of 15 best places to travel in October in Europe, Asia and tropical destinations can help you choose it. Since I love to travel, for me there is no bad time for traveling. Anywhere and anytime is perfect, as long as I’m on the road. If you add to that some good travel buddy, wherever you go, chances of having a great vacation are pretty high. Depending on your desires, best places to travel in October in the world will vary as well. October is not the most popular month for vacations and traveling. The school year already began and families with children (usually) cannot travel but those who do not have kids (or who decide to bring the kids for the roadtrip despite that fact that school began) might have a perfect vacation in October. Why? Well, the weather is much milder during the summer and the prices are considerably lower for accommodation as well as everything else. If you are a bit of an introvert like I am, less crowded beaches and streets of best holiday destinations might suit you better. On the other hand, if you prefer traveling within the U.S., our list of 10 best places to visit in the USA in October will definitely inspire you to choose were to go next. For those who wish to travel abroad, this list will serve as a perfect guide. We will discuss best places to visit in October in Europe since October is one of the best months to visit Europe. The weather is perfect, especially in southern Europe, and there are many food and drink festivals. Days are usually warm but in the evenings can be a little chilly. The only downside of visiting Europe in October is the increased chance of rain. Still, you can solve this with packing an umbrella with you. For those who prefer tropical beaches, we will include best tropical places to travel to in October. For all the beach lovers, tropical places on our list will also give you a glimpse into the best beaches to visit in October. Don’t worry, temperatures are perfect for swimming and sunbathing and you might even find some secluded beach and enjoy your vacation. Since Caribbean islands are among the favorite destinations, I made sure to include one of the best Caribbean islands to visit in October. You can check our list of Top 8 Best Beaches in the World while you are packing your bags. Having traveled to South Asian countries myself, I have to tell you that you will have the time of your life if you make this choice. In order to help you find your destination, I singled out best places to visit in Southeastern Asia in October. In order to compile this list of 15 best places to travel in October in Europe, Asia and tropical destinations, I check a number of travel sites including: Fodor’s Travel, Trips to Discover, Weather, Travel and Leasure, and Quora. Recommendations for best places to travel in October 2017 are abundant and I decided to single out the ones with the best climate (often most frequently recommended ones) and to choose a couple of suggestions for Europe, Asia and tropical destinations to provide a variety of choices, regardless of where you want to travel. Locations are ranked according to number of activities and festivals you can attend while being there. Tropical places are at the bottom because they only include sea-related activities and places with organized events and festivals are at the top of our list.